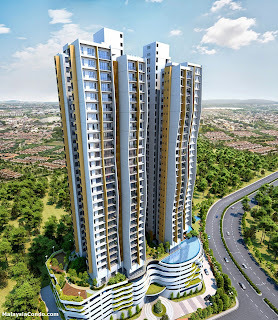 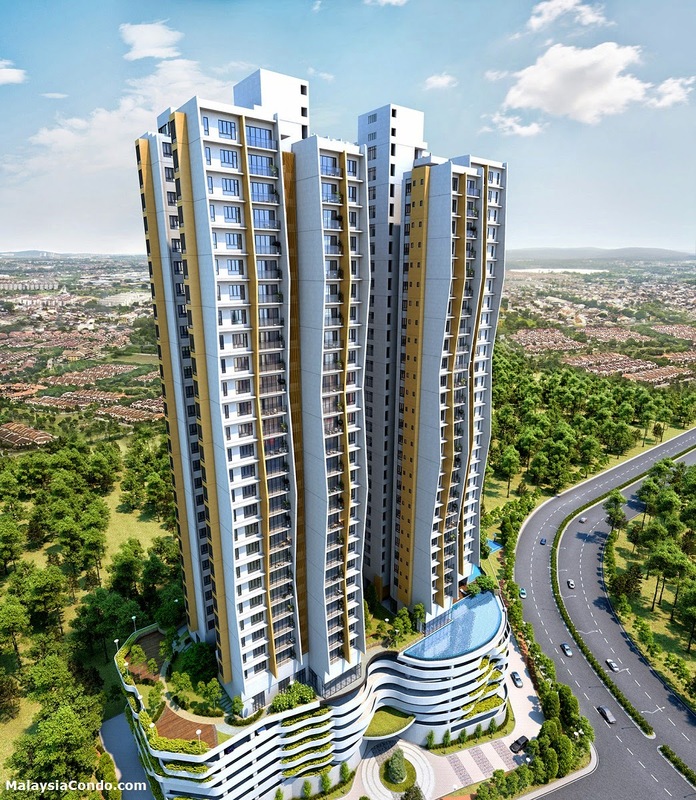 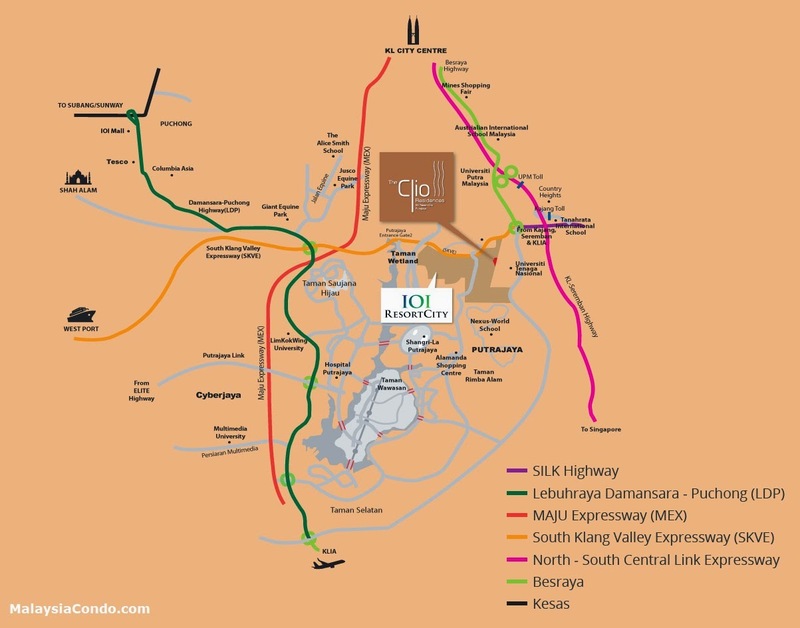 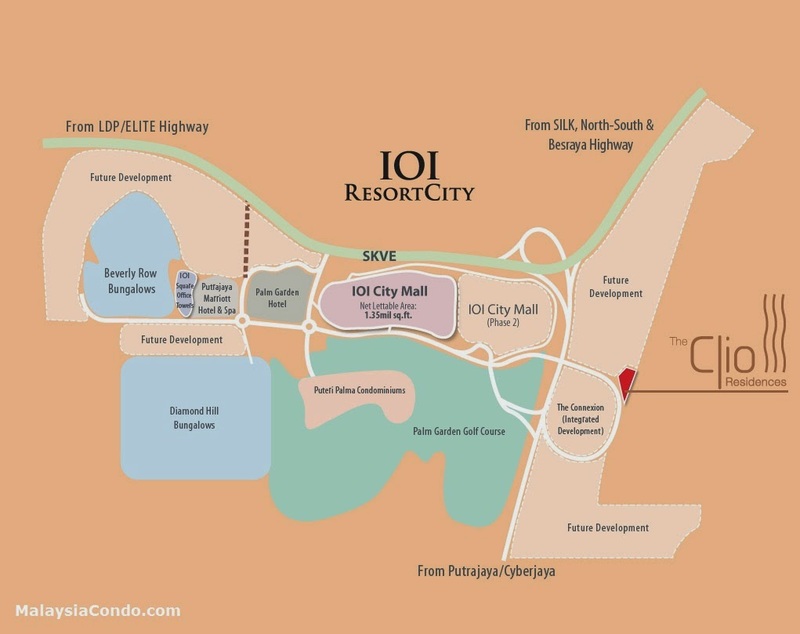 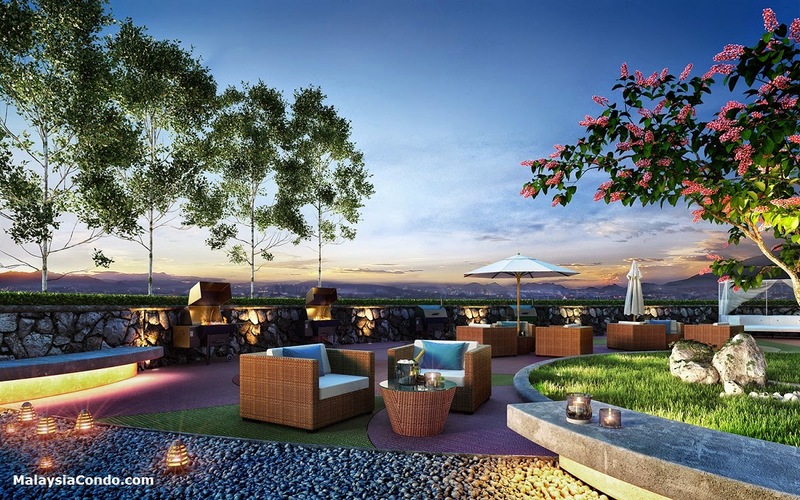 The Clio Residences, the second and latest addition of homes to the upcoming township of IOI Resort City. 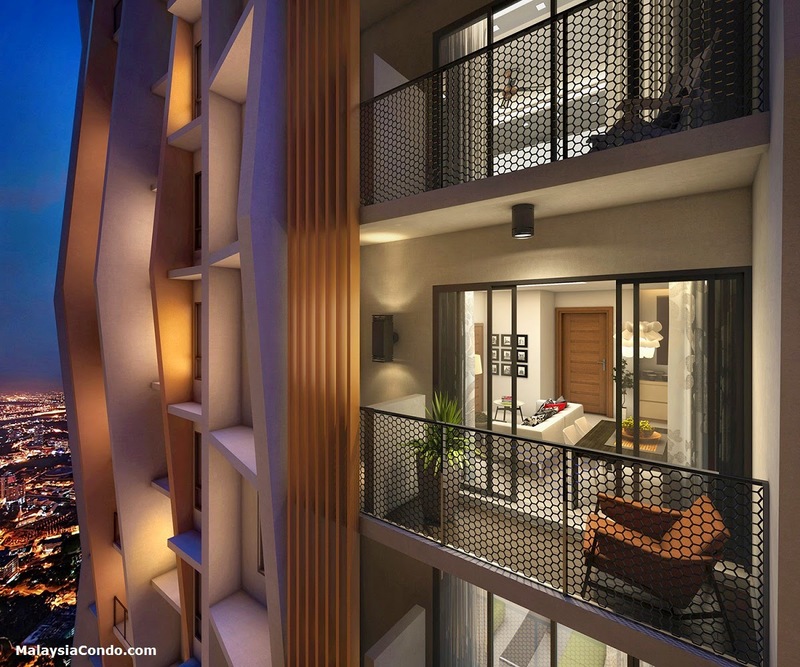 The Clio Residences is more than just an architectural highlight. 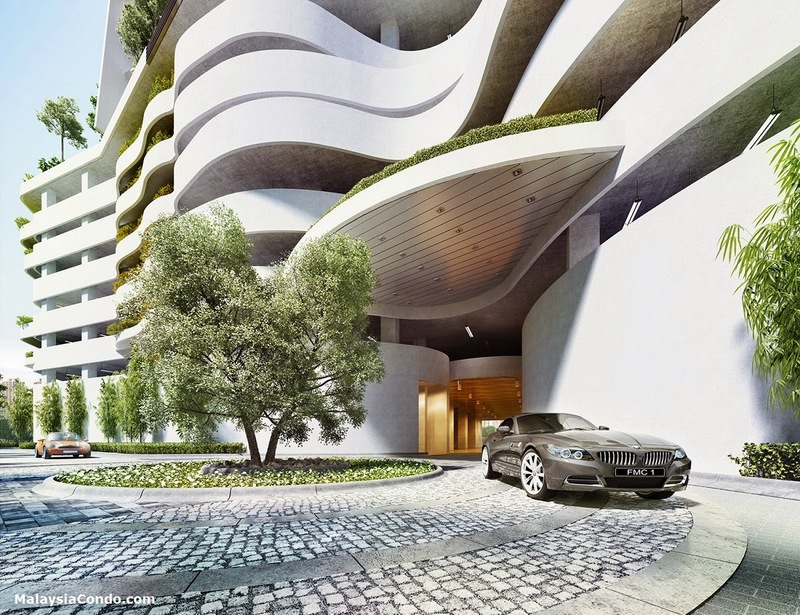 Inspired by the flow of a ribbon, the facade is defined by streamlines curving skywards. 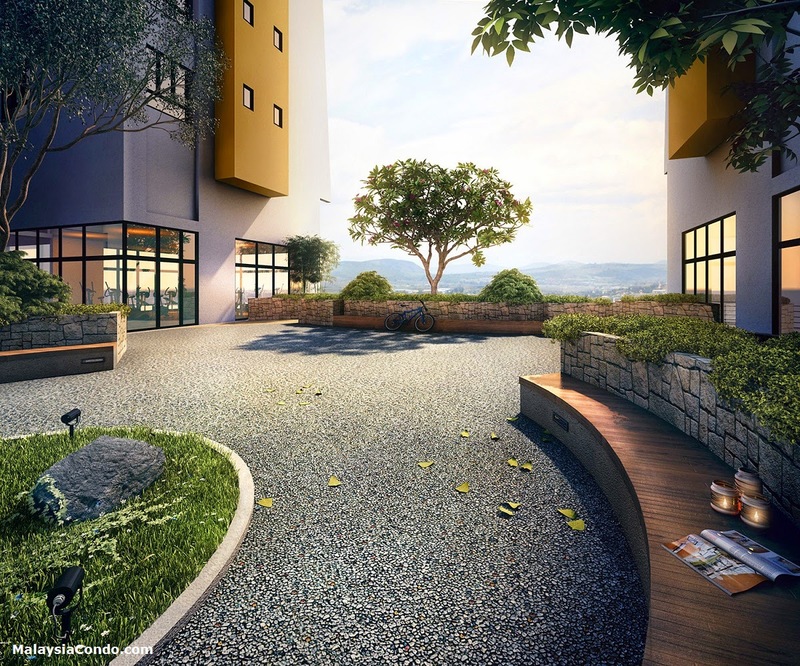 Every effort is made to maximise natural ventilation and natural lighting with unobstructed external views. 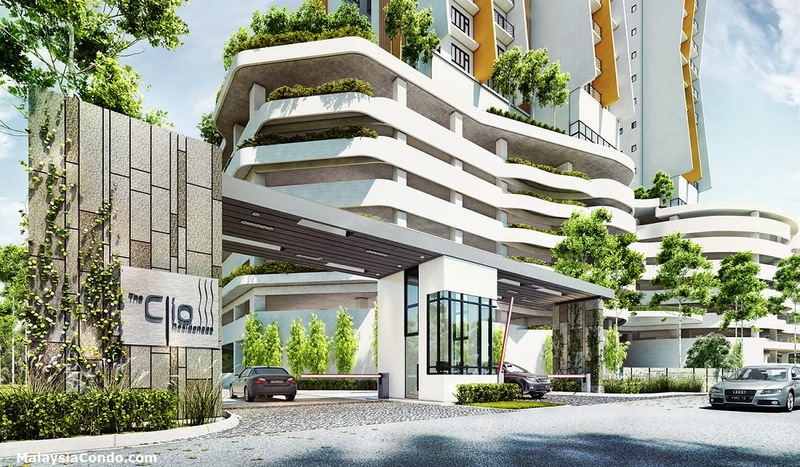 In short, The Clio Residences id designed to breath naturally. 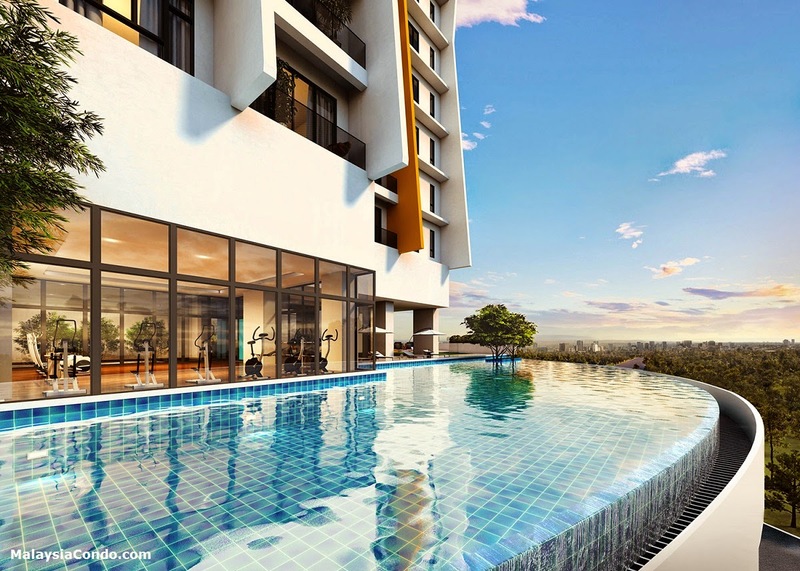 The Clio Residences comprising a 34-storey tower and has a total of 234 units. 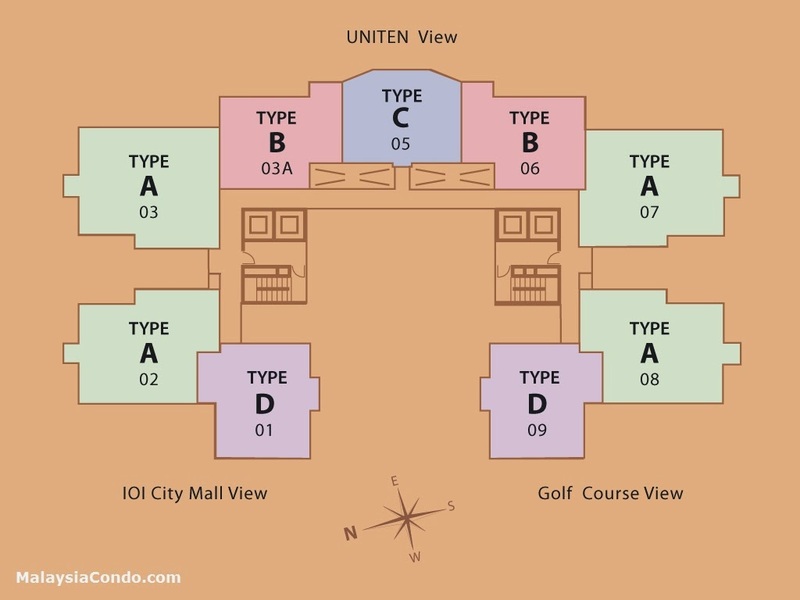 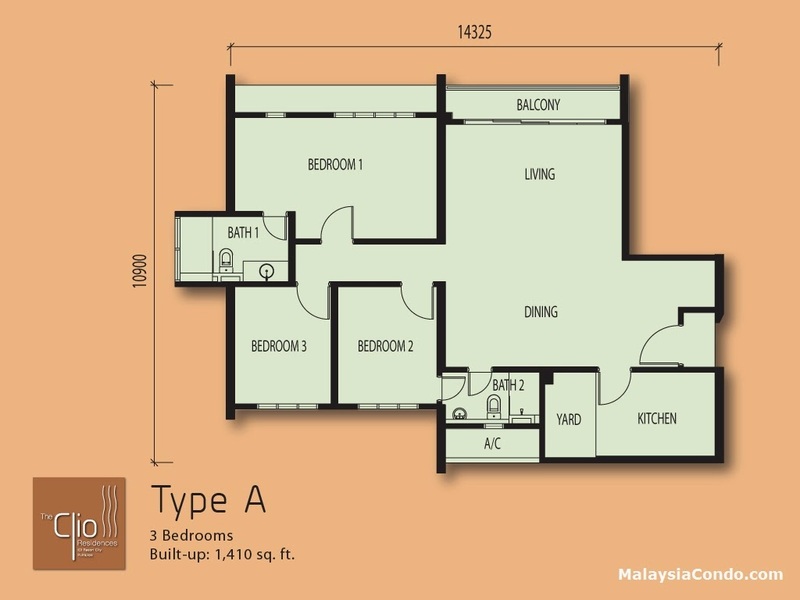 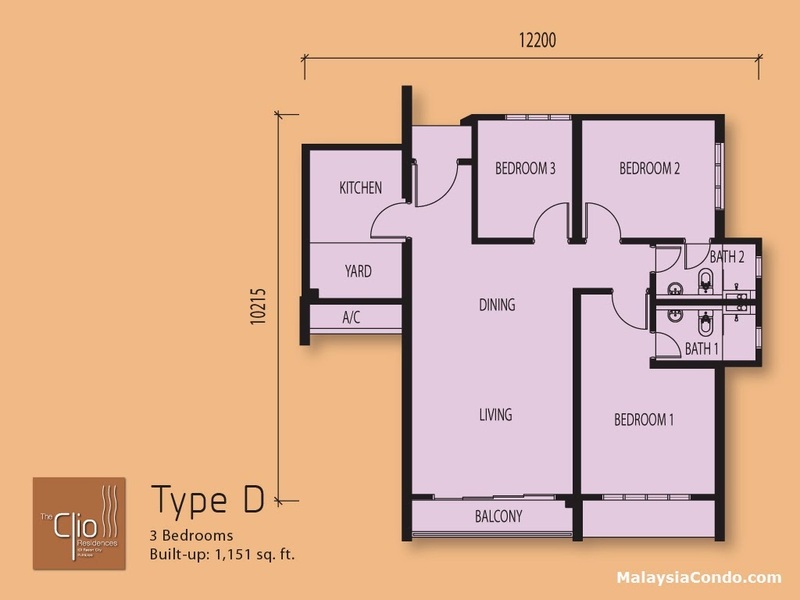 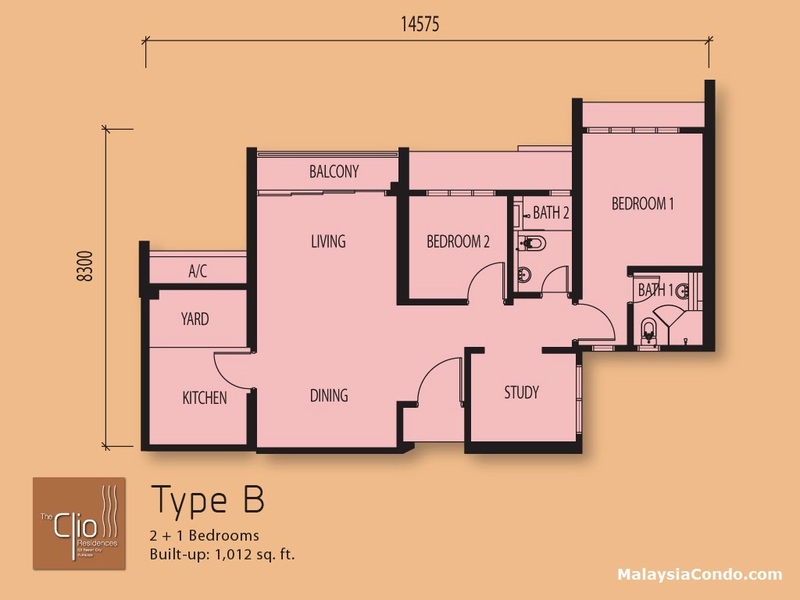 The built-up area ranging from 872 sq.ft. 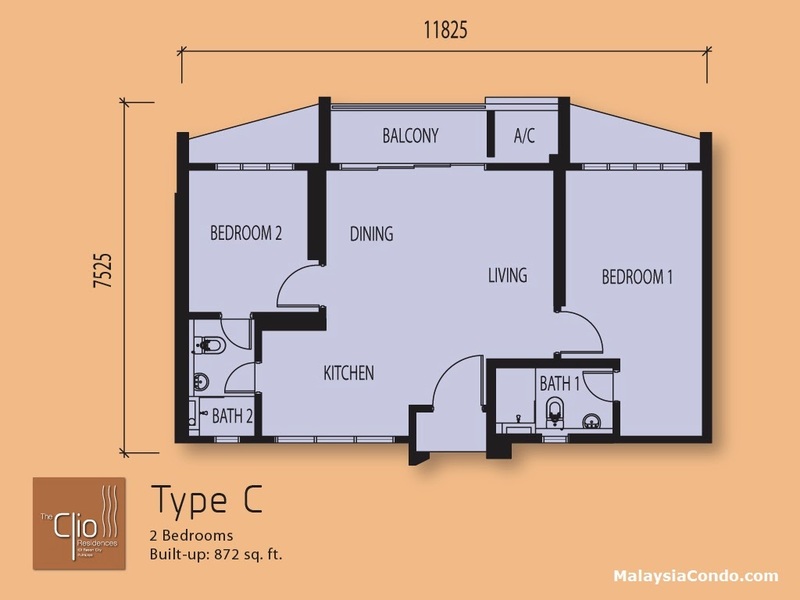 to 1,410 sq.ft. 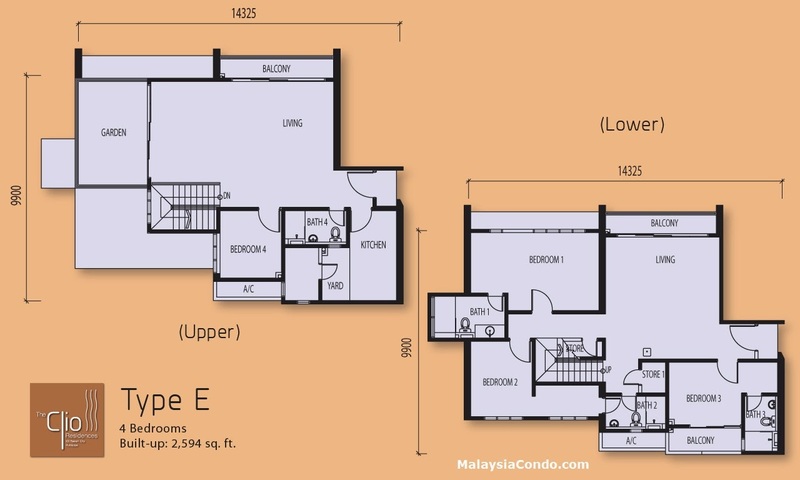 for standard units while the duplex has a built-up area of 2,594 sq.ft.